The more information you provide, the better we’ll understand your project and find the right solutions for you. Or if you’d like to talk to a live person give us a call at 888.217.9502. Talk to you soon! 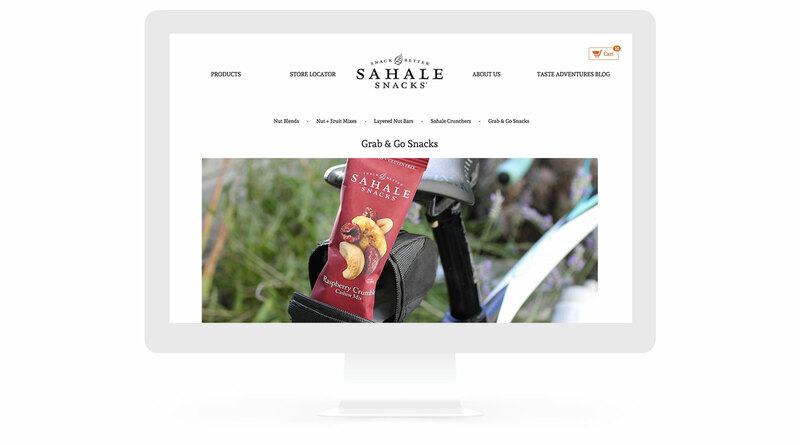 Sahale Snacks was founded on the notion that “we can do this better.” The founders launched their superior snack line in 2003, and it exploded nearly overnight. Now, Sahale Snacks is sold at major retailers, such as Safeway, Kroger, Wal-Mart, Whole Foods, Costco, and 7-11. 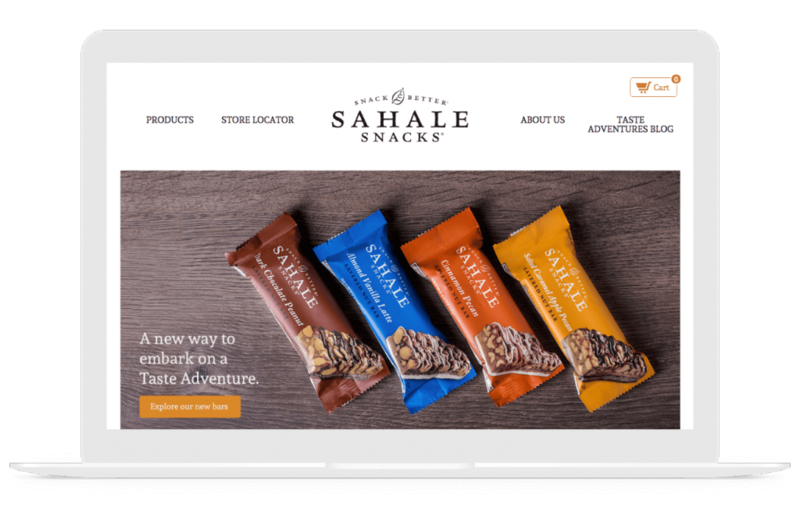 Sahale’s website was redesigned to reflect its attention to quality, improve its customers’ shopping experience, and essentially, to make its old site look like stale trail mix. 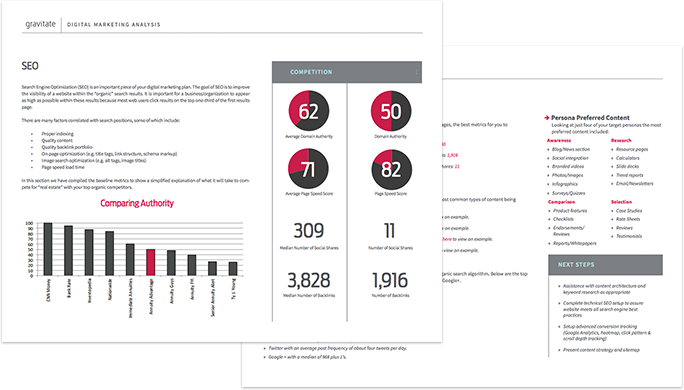 A critical component of our digital marketing analysis and reporting is identifying target customer personas. 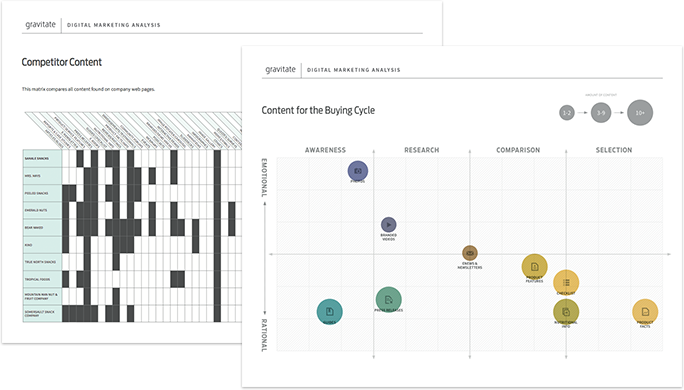 This allows us to fine-tune content that speaks directly to audience segments with unique priorities, mindsets, and needs—no matter what stage of the buying cycle they’re in. 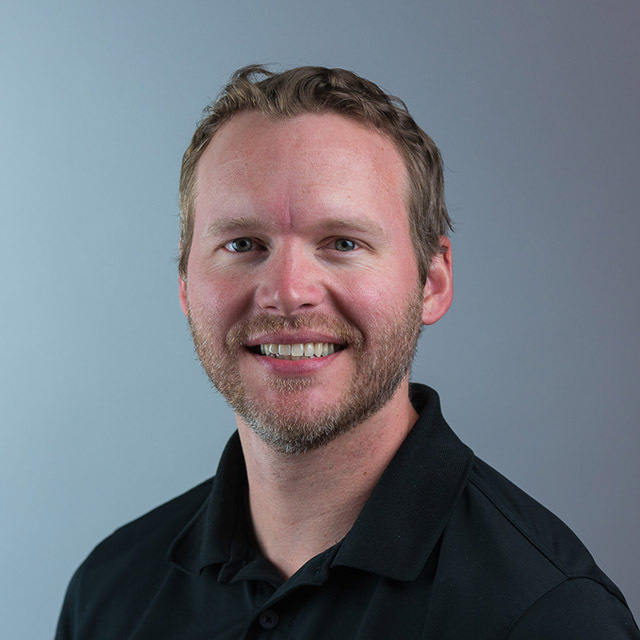 Generating sales online takes more than just an attractive website; it’s an ongoing process that continually finds new ways to attract and engage with potential customers at all stages of their buying cycle. 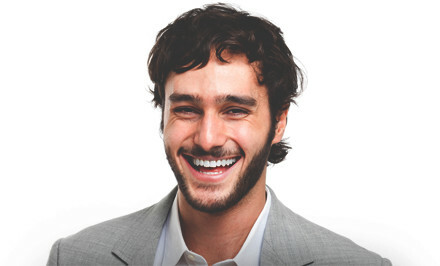 Our content audit determined which types of content are most relevant to Sahale Snacks’ unique industry and competitive landscape and identified the preferred digital channels for its target market segments and personas. Search engine optimization (SEO) is at the foundation of our digital marketing efforts. 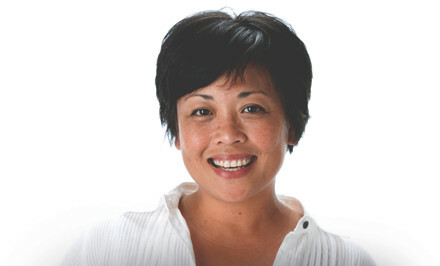 The goal of SEO is to improve the visibility of a website within the “organic” search results. 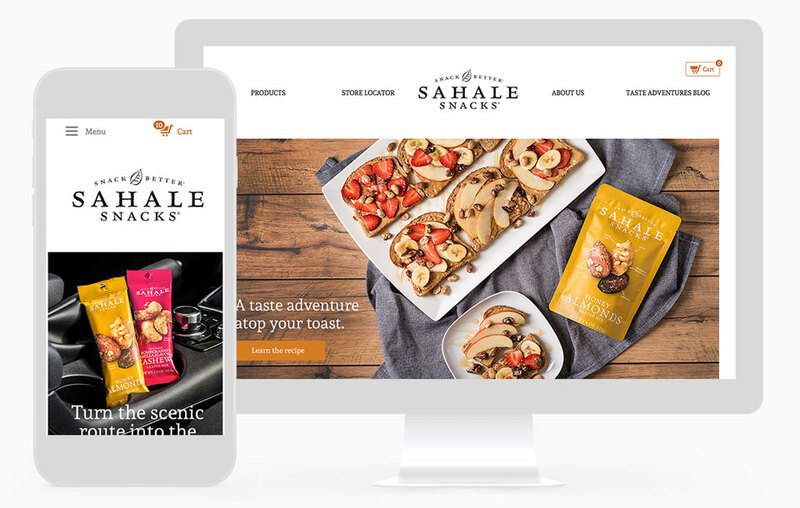 We compile baseline metrics and keyword analysis to produce an actionable strategy that cements Sahale Snacks’ “real estate” within the top one-third of the first results page. 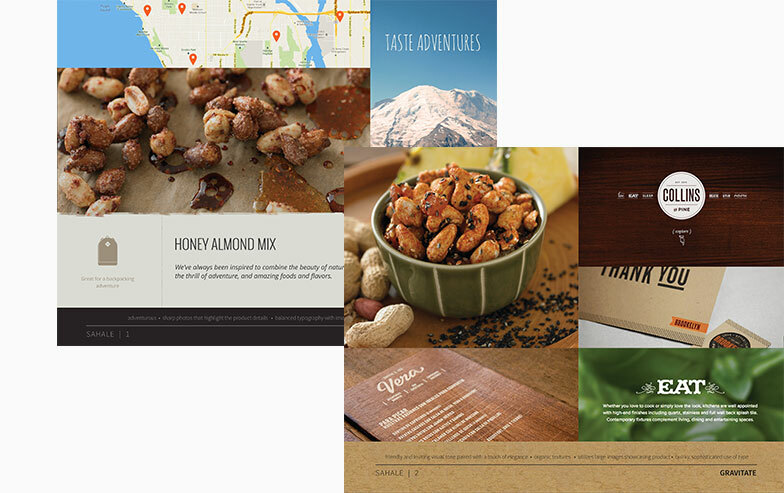 When the project with Sahale Snacks kicked off, the design direction was far from the finished product. Our moodboards (not specific design elements but rather visual indicators of the site’s tone and feel) focused on a lifestyle rather than on the product itself. 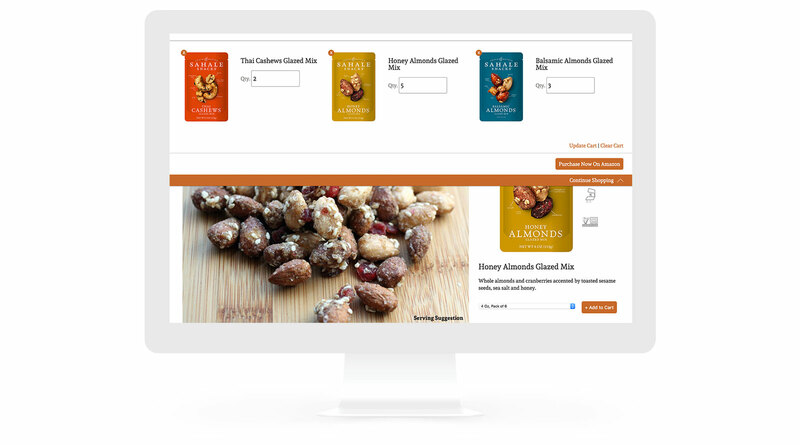 As such, we took a step back and began sketching designs for a clean, intuitive product-focused site—one that not only highlights quality ingredients but that also allows users to easily browse and shop for products. To provide Sahale customers an effortless buying experience, our development team had a number of obstacles to overcome surrounding restrictive APIs. 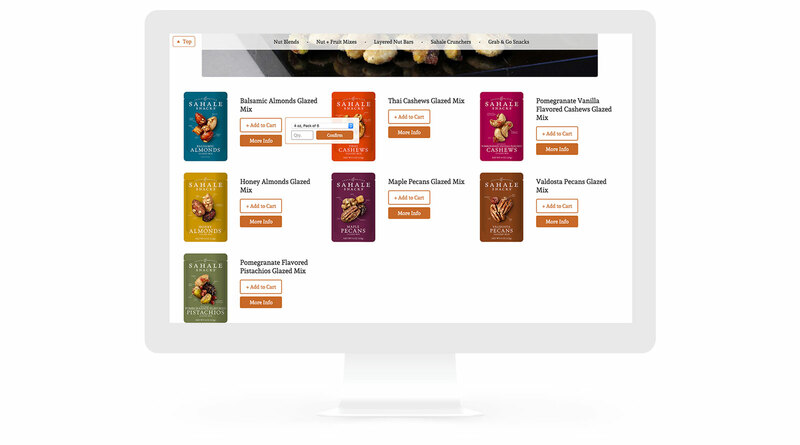 All of Sahale’s products are sold through Amazon, so the website was required to not only pull in dynamic product pricing (dictated by Amazon) but also to be able to seamlessly transfer a shopping cart on Sahale to an Amazon cart. We modified a popular mapping API to create a customized store locator that allows customers to search for stores in their area that sell Sahale Snacks as well as to filter locations by product and/or proximity to the customer. We also added a little polish by creating custom, branded loading animations for both the map and the shopping cart. 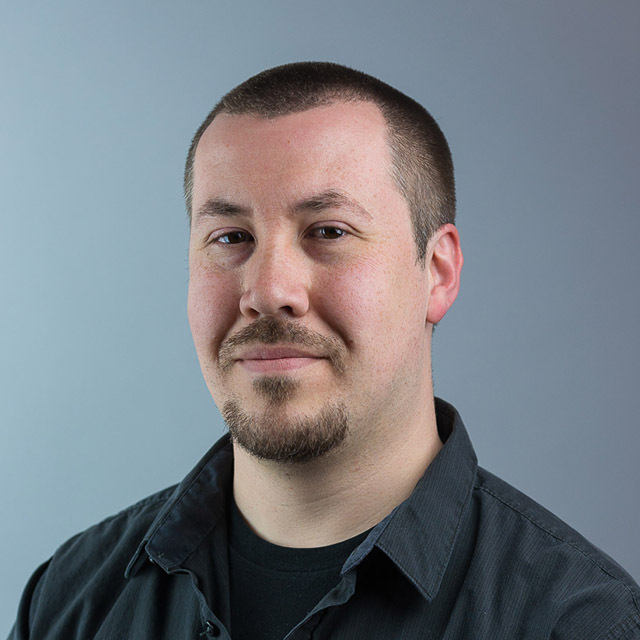 Responsive web design allows us to build sites that provide an optimal viewing experience across a wide range of devices—whether you’re on a smartphone or a 27” monitor. It allows easy reading and navigation without the drudgery of resizing, panning, and scrolling or the time and expense of building customized mobile apps for the major platforms. We’re especially proud of how our image carousels and subtle loading animation were scaled for any device. 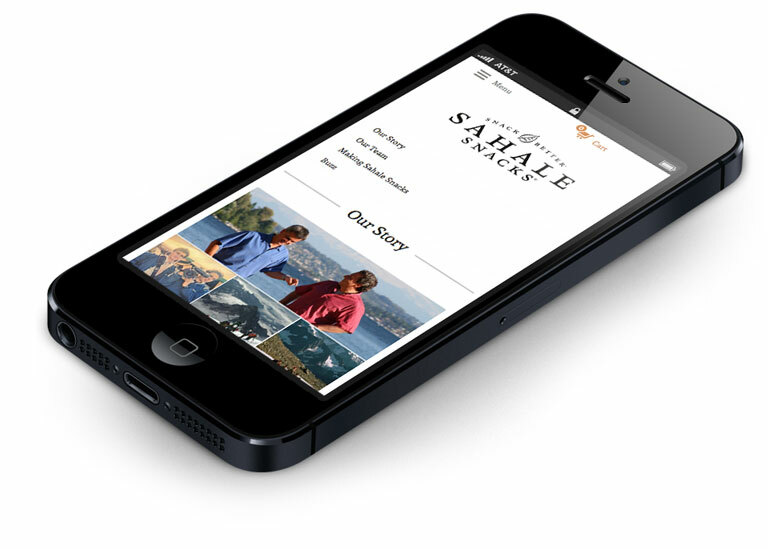 Sahale Snacks was an ideal client. Its defined direction, constructive feedback, and contagious passion allowed us to take an initial concept and run with it. We loved tackling unique development challenges and proactively adding subtle features that thrilled the client. The result is an elegantly designed site that not only accentuates Sahale’s attention to quality but also provides customers with a simple yet refined shopping experience. Ready to start a project or really curious about our process? Drop us a note or give us a call (888) 641-7313; we’re happy to answer all your questions. ©2019 Gravitate | site design by us, duh.